For the first week, i have a discussion for planning with my Advisor, Mdm Naszariah.I'm also preparing the gantt chart to be supervised by her. 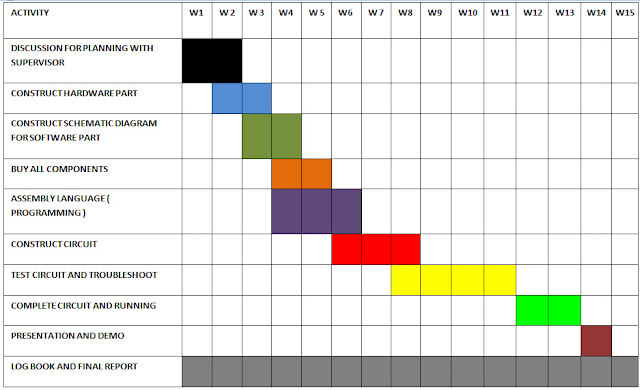 Fyp 2 degree is the connection of the previous semester.This is gantt chart for S1 2012 in order to finish my project on time. Hi.....my name is Nur Atiqah Binti Harun.I'm final year student at UniKL BMI,taking BET in Medical Electronics.